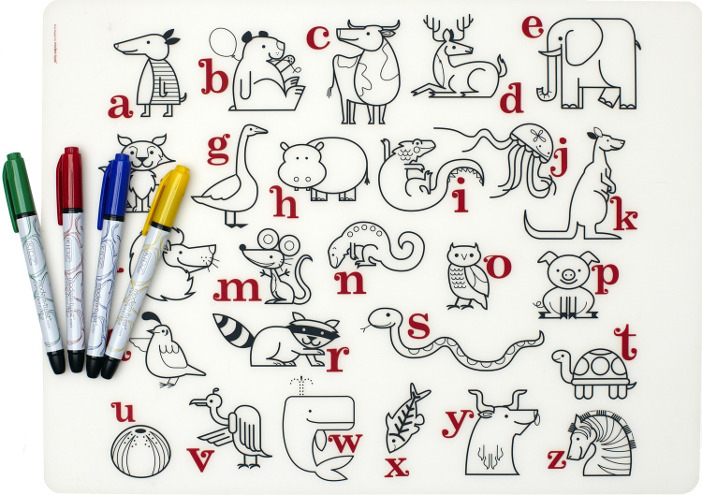 Silicone Placemat, Alphabet Animals and Farm to Table are sure to please the artist in every child and come with four washable Markers. They feature creative and playful designs that amuse and educate, plus they offer functionality and minimalist aesthetics for parents who value simple, clear design. The mats can be drawn on with washable markers again and again but must be cleaned with a damp cloth or rinsed to avoid staining. They have a non-porous and germ-free surface with no BPA, latex, lead, phthalates or other toxic chemicals.